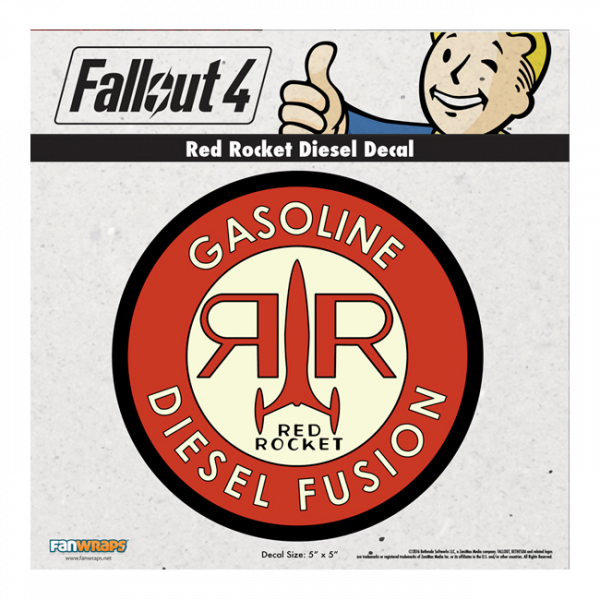 Rocket Diesel Decal as seen in Fallout in-game advertising , now available for real! The decal measures 15 x 19cm in size. Manufactured by FanWraps.